After-school dippers: Healthy snacks the kids will actually eat! Kids and veggies—they’ve never been best friends. It doesn’t seem to matter how we serve them, if a child can see or taste a sliver of steamed zucchini, a head of broccoli or wedge of pumpkin, it’s game over! It’s even trickier to try to sneak in healthy snacks after school, when the children are ravaging the pantry for sugar-laden treats. Who doesn't love steaming hot potato chips fresh out of the oven? They’re a delicious treat, but one that doesn’t need to be drowned in fatty oils or sugar-laden sauce. We promise that your home-made version can be just as delicious, if not more so, than the fast food alternative! Use sweet potato as well as, or instead of, regular potato to add extra colour and goodness. 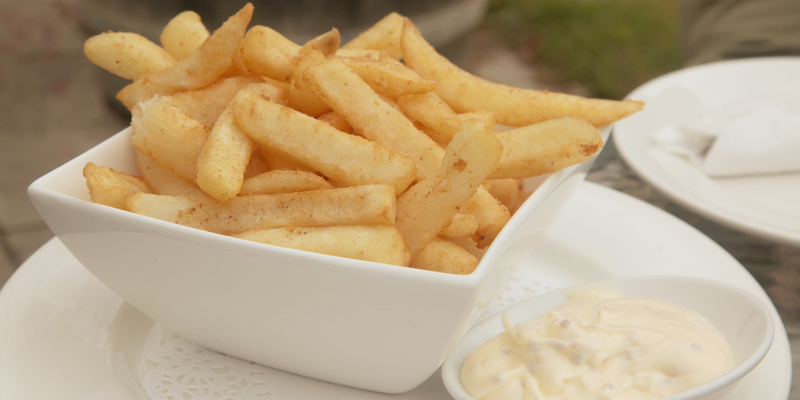 Make a rich aioli dip for extra amazing flavour. Fill a saucepan with water, and sit it over a high heat. Wash your potatoes, but leave the skin on. This is where all the goodness is stored! Chop them into chunky chips. Cook the potatoes in boiling water for approx. 6 minutes, then reduce the water to a simmer. Drain the water, and place the potatoes onto a baking tray covered with baking paper. Pat them dry with paper towels, ensuring that any excess moisture is soaked up. This ensures that your chips will have a deliciously crunchy coating. Drizzle the chips with olive oil, a good sprinkling of salt, and then place them in the oven for 40 minutes. Whisk the egg yolk, lemon juice and mustard into a bowl. Combine the oils into a separate bowl, and slowly add the contents to the egg yolk mixture. Whisk constantly. Whisk in the garlic, and season with salt and pepper. Deeply-coloured berries have always been a childhood favourite, and what better way to eat them than coated in the rich, tropical flavour of coconut. A healthy dose of natural fruit sugars, and good fats from coconut, will satisfy those sweet cravings. 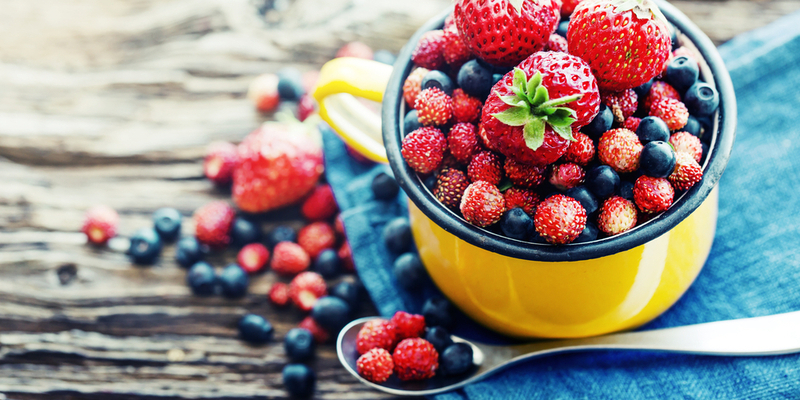 If your kids are a little older, try loading up skewers with a rainbow of colourful berries. However, if you have little ones, we suggest using fingers for this snack. A sprinkling of toasted coconut. Combine the coconut milk and milk in a saucepan over medium heat until it's just boiling. Add flour a little at a time, stirring to combine. Bring the temperature down once it’s significantly thickened. Whisk in the cinnamon and brown sugar. Allow the mixture to cool, and then sprinkle with toasted coconut to serve. Satisfying and delicious, a couple of these savoury bites will have the kids full until dinner time—especially with the great zesty lemon flavour. A perfectly balanced snack, this one’s particularly good after bouncing on your Vuly! Cut chicken breast into bite-size pieces, and season. Grill for a few minutes over medium heat, until cooked through. Set aside to cool. Combine natural Greek yoghurt, the juice of half a lemon and half a clove of garlic, and season. Wrap each small chicken piece with a strip of cucumber, skewering with a toothpick. Remember: Make sure little ones remove the toothpicks before eating. Once you've tried ours, tell us some of your great healthy snack suggestions! Did your kids love our tasty Vuly treats?